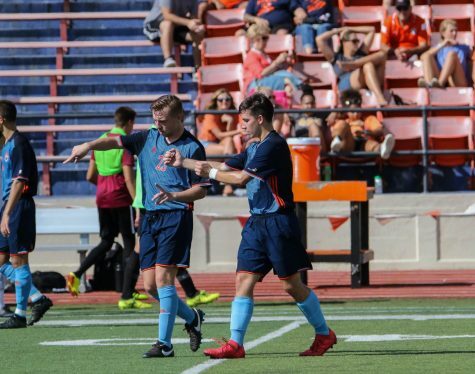 The men’s soccer team won its first game of the season Saturday afternoon with a dramatic 3-2 win over the Hastings College Broncos at North Park. 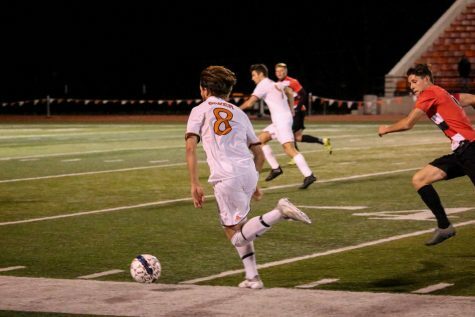 Junior center back Amer Didic recorded his first career hat trick. 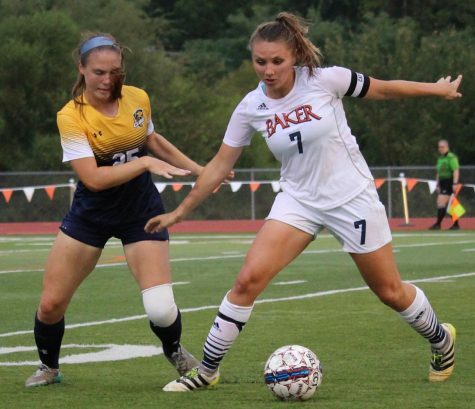 In the 11th minute, the Broncos’ junior goalkeeper Alex Guyer was given a red card that resulted in Didic’s first goal of the game on a penalty kick to put Baker up 1-0. The Broncos played down a man from that point on. Hastings scored the next two goals. 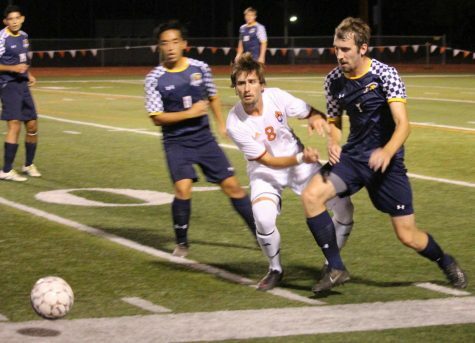 The first came from senior defender Tyler Ortneib in the 34th minute. Ortneib’s first goal of the season tied the game at 1-1. 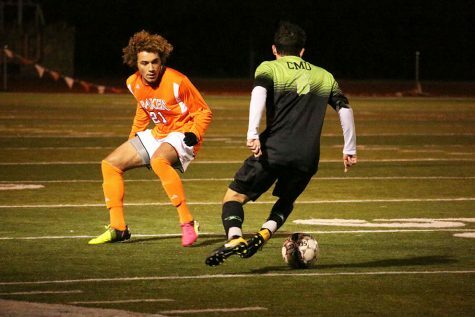 Then four minutes after halftime, junior Felix Proessl put the Broncos up 2-1 with just over 40 minutes to play. 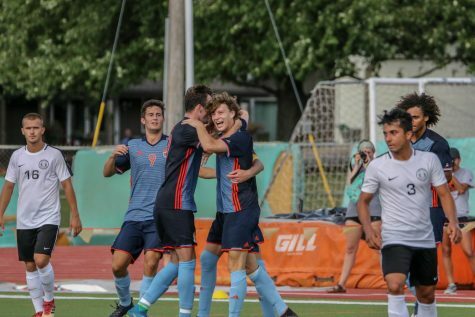 Ten minutes later, junior Austin Shiney’s corner kick ricocheted to Didic, and he struck for his second goal of the game from just inside the penalty box. At the end of regulation, the game remained tied at 2-2. In the first minute of overtime the Wildcats were given a penalty kick after a handball in the box. Didic stepped over the ball and buried it into the back of the net to complete his hat trick and the win. 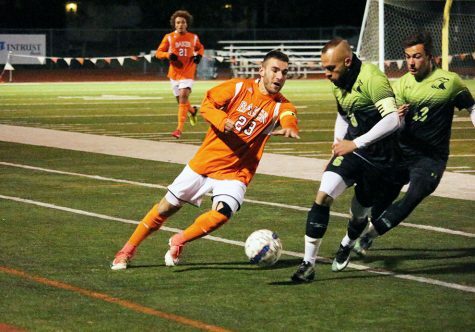 Didic is the team’s leading goal scorer with four. This was also Didic’s 11th career goal for the Wildcats. Freshman goalkeeper Nick Riggle made his second start of the season and got his first career win and recorded four saves in the game. Didic finished the day with all five of his shots on target. 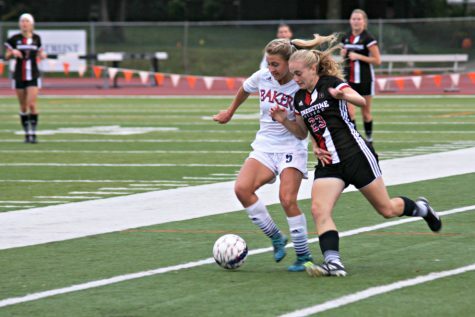 Shiney and freshman Blake Levine both finished with four shots after both scored in their last game against Park. Junior Diego Ordonez finished with three shots. 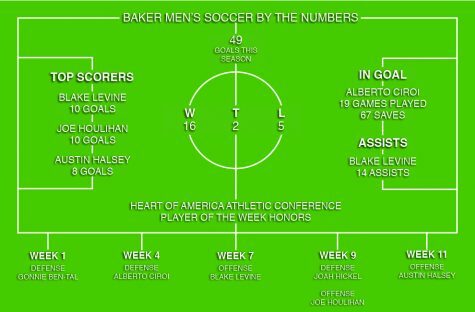 Baker improved to 1-4-1 on the season. The Wildcats will play the AIB School of Business on the Sept. 19. After the road trip, the Wildcats will play Bethany on Sept. 21 at Liston Stadium.